You are here: Home / articles and blogs / How to Interview for Non-Fiction Magazines and Books: 17 Tips for Ease and Success! 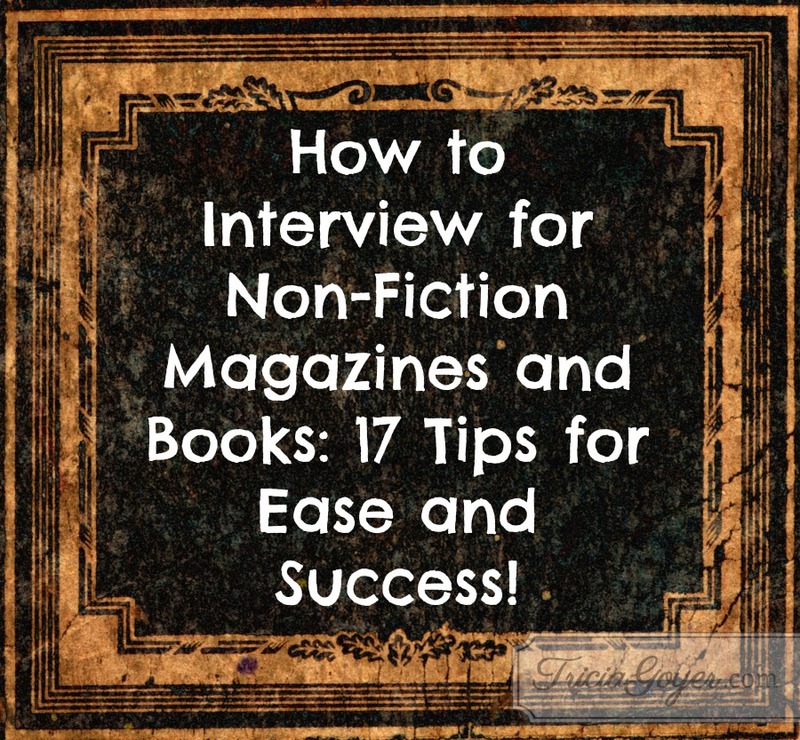 How to Interview for Non-Fiction Magazines and Books: 17 Tips for Ease and Success! Hey, #writers! @TriciaGoyer shares her tips for creating better #interviews. Loved this — thank you! I wish I would have had this list back when I was writing for my local paper. I’ll have to favorite this one. Glad you found it useful, Dabney! Great tips! I especially love the “Don’t fill in the silence” tip. So much going on in that silence. Thank you, Connie! It’s amazing what comes out after that silence!